That is certainly true in the community of Hoosick Falls, on the New York/Vermont border. Residents recently elected a new mayor, Rob Allen, who is off to a good start, working to address the problem of contaminated water. As if that wasn’t enough, on the night of July 1st, Hoosick falls was hit with a torrential rain storm that caused massive flooding. Thankfully, no one was seriously injured but there was major property damage. Both are linked to national environmental policies under attack by President Trump. These problems illustrate why we need strong national environmental policies. When national environmental protection policies are weakened, our communities suffer. Drinking water in Hoosick Falls (and nearby Petersburgh) was contaminated with PFOA, the toxic chemical in Teflon that makes it slippery. Drinking water contaminated with PFOA has been linked to at least 6 serious illnesses, including kidney cancer and thyroid disease. The previous mayor and the State health department knew that residents were drinking contaminated water but for a long time did not tell them. Only after the Environmental Protection Agency stepped in, were residents informed. 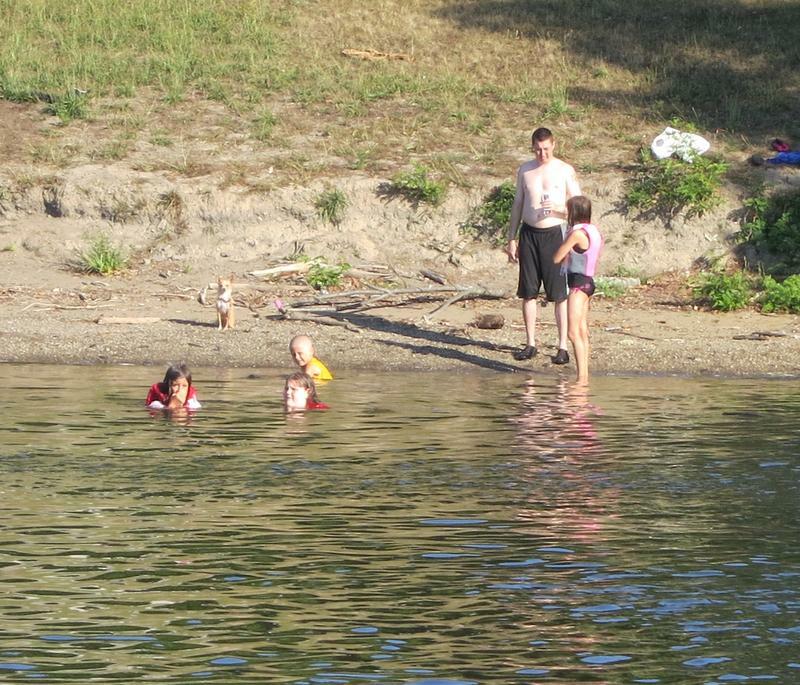 The public water supply, and many private wells, now have carbon filters that remove the toxic chemical, but in my view, a long term clean and unfiltered water supply, such as the Tomhannek reservoir, needs to be tapped. The Trump administration wants Congress to cut the EPA budget by 31 %. The new head of EPA defends the cuts by saying EPA should defer to states. 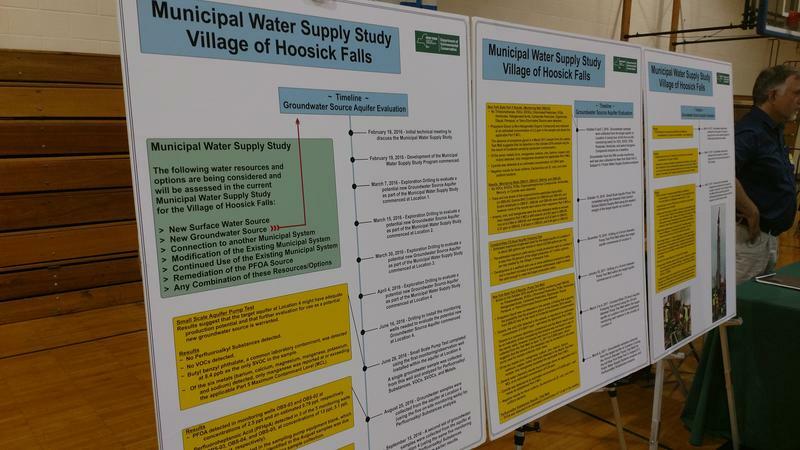 Yet in Hoosick Falls when the state learned of the water problem, the State Health Department did not inform the public. The recent flooding may be linked to climate change . The President and the head of the EPA refuse to acknowledge that carbon pollution from human activities is causing climate change. They pulled the US out of the Paris treat , designed to reduce carbon pollution worldwide. Climate change has brought us more intense rainfalls and more extreme weather. This happens because warmer air holds more moisture. When it meets cooler air, the moisture condenses into droplets that float in the air. The droplets getting bigger and heavier, they fall as rain or snow. NOAA, also slated for a Trump budget cut, reports that 9 of the top 10 years for extreme one-day precipitation events have occurred since 1990. An uptick in extreme weather is expected between now and 2020. Between 1958 and 2010, the amount of precipitation falling in very heavy downpours increased by more than 70%. Washington may seem like a distant place that has little impact on our daily lives. But the rapid pace by which the Trump administration is rolling back environmental policies has local consequences. Just ask the people of Hoosick Falls. Judith Enck is a Senior Policy Advisor at the Institute for Governance and Sustainable Development. She recently served as Regional Administrator for the Environmental Protection Agency, appointed by President Barack Obama. The Rensselaer County Village of Hoosick Falls, already dealing with a State Superfund site contaminated with the chemical PFOA, may soon add other locations to the list.